I conclude this series with an excerpt from a previous piece titled ‘The Judiciary Waiting For Buhari’ written about four years ago (May 19 2015) and a Postscript from another ‘On Justice Onnoghen’ (Feb, 09 2017). This mostly chronicles the revelations of one of the Chief Justices of Nigeria, the late Justice Dahiru Musdapher whose eleven month reform-frenzied tenure was about the most eventful, most revealing of the sordid entrails of this otherwise esoteric institution. …none (had) captured (the rot in the Nigerian Judiciary) any better than the eminent jurist, Justice Kayode Esho, in a memo on the Musdapher Reform Program where he said “There has been no time in the history of the judiciary of this nation that the institution has sunk this low”. And Justice Musdapher it was who had the rare courage to break the yoke of judicial esoterism by publicly confessing to serious challenges bothering particularly on the ethical and moral substructures of the Nigerian judicial system -its dilapidated courts and its decrepit administrative machinery; and its dismal continuing-education program for which already a serious decline had set in, in the intellectual capacity of judicial officers to effectively and efficiently deliver justice. And this decline is not helped by a culprit Nigerian Bar which -although outside the court is famed for moral suasion and a toga of ‘corrective’ disposition- in court it is prosecutorally indecorous, permitting abuse of ethics and rules of professional conduct with the attendant consequences that many so called Ministers of the Temple of justice are now willing perverts of the very course of justice they are sworn to uphold. Nor is this helped by our ‘body’ of our laws -a relic of our colonial and postcolonial experiences- whose complex hyacinth of technicalities only aids lawyers and judges to pervert justice. Our ‘corpus juris’ remains, still, the epitome of obsoleteness and archaism, yearning for the redeeming grace of a corrective Legislature. The consequence of this rot naturally manifests in a serious downturn in the system’s public perception index, so that over the years the Nigerian Judiciary has lost a great deal of the confidence of the public, and Nigerians no longer believe they can get justice from the courts of their land. In fact many identify the Judiciary more as a zone of despair in seeking justice than as the proverbial ‘last hope of the common man’. The judicial process has especially acquired a sickening notoriety for complexity, from filing to final judgment; and this, added to the growing juridical and advocatorial incompetence in the system, conduce to occasion unwarranted delays that make a mockery of that fair maxim of equity which asserts that ‘delay defeats justice’. Said Musdapher it takes “an average of eight to ten years to determine a matter from the commencement of court proceedings to final judgment”. You need only add ‘delay’ to the serious infamy of unfair judgments, judicial impropriety, absence of judicial integrity and above all corruption at virtually all levels of administration of Justice, to complete the parade of judicial negatives. 1) review of the requirements for appointment of judges so that in addition to pure merit, morals of prospective appointees should count; 2) extending the current mode of judicial appointments (especially into superior courts) to include candidates outside the judiciary –so as to provide wider diversity of experience and add quality to judicial deliberations in court. 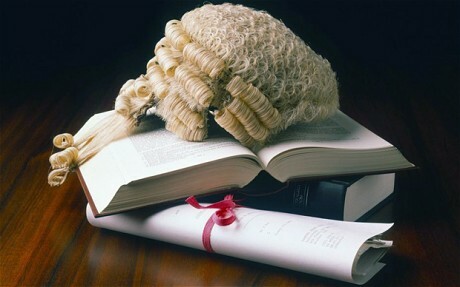 He also recommended: a) the need to relieve the National Judicial Council NJC of the duty of dealing with petitions, discipline and removal of judicial officers so that it concentrates on the responsibilities of formulating broad policies for, and judicial appointments in, the judiciary; b) the creation of a separate discipline-only body and to which should be added the duty of ‘Intelligence Measurement Performance System’ for weeding under-performing officers out of the judiciary; c) an elaborate mechanism both for the punishment and insulation of judicial officers for and against corruption. To reposition the Judiciary Musdapher’s Judicial Reform had proposed to the NASS, a ‘Fifth Alteration’ Draft Bill. The Reform was targeted at restoring five key universal components of judicial administration, namely: 1) an INDEPENDENT JUDICIAL SYSTEM with a self-governing, independent ‘budget-authority’ and a ‘rule-and-policy making’ autonomy; 2) a TRANSPARENT JUDICIAL SYSTEM that guarantees open judicial selection, promotion, discipline, removal of judicial officers and open access to court proceedings; 3) an ACCOUNTABLE JUDICIAL SYSTEM with an effective case management, clear judicial productivity and performance standards; 4) an EFFICIENT JUDICIAL SYSTEM with standardized training and education, improved access to justice, and one that is fast, certain, consistent and predictable in delivering justice; and lastly; 5) a DIGNIFIED JUDICIAL SYSTEM that enjoys the respect, awe and confidence of the public and before which every citizen feels a sense of duty to willingly subjugate. Prior to the appointment of the late Justice Dahiru Musdapher as Chief Justice in 2011, the National Judicial Council, NJC had always proposed to the President names of the three most senior justices of the Supreme Court in order of their seniority. The President then had the ‘privilege’ -not ‘right’- to select any one. Interestingly no President was known to exercise that privilege in the disfavor of the most senior of the three. It was to frustrate the attempt (by President Goodluck Jonathan) to exploit this privilege for geo-ethnic motive that the NJC under Musdapher ended this succession tradition by insisting that the NJC present the name of the most senior justice only –namely Aloma Muktar; giving Jonathan a virtual Hobson’s Choice. Behind Justice Aloma were justices Mahmud Mohammed and Walter Onnoghen in that order, but information had reached Musdapher indicating that Jonathan had been advised by his hawkish kinsmen to ‘damn the consequences’ and skip both Aloma Mukhtar and Mahmud Mohammed to pick ‘his own’, Onnoghen. And it is on record that on receiving the NJC list containing only the name of Justice Aloma, President Jonathan was said to have returned it to the NJC, insisting that the Council should do the needful by respecting its time-honored tradition of sending three candidates, -a demand which the Council rebuffed again by re-sending Aloma’s only name as the Council’s nominee. This was the Onnoghen.